But, this is simply the best, most wonderful cheesecake I have ever had, and have ever made. It is based on a master recipe, from the master of baking herself, Dorie Greenspan. This is a classic New York style cheesecake with a graham cracker crust and high sides. It is dense, rich, and light at the same time, and serves a small army. But watch out — just when you think you’ve made enough for your gathering, so many people will go back for seconds that you may be left without a piece! My young friend Audrey and I worked together on this cheesecake and have made some slight changes to Dorie’s base recipe. We’ve thickened the graham cracker crust on the bottom and don’t let it ride up the sides. We also top the cake with a creamy sour cream topping and serve it with a tangy bright raspberry sauce. Many thanks to Dorie for graciously allowing us to share her recipe with you! This recipe has you wrap the cheesecake very well in aluminum foil and then bake it inside a water bath — which simply means setting the wrapped cheesecake in a roasting pan or other large dish and adding a few inches of steaming water into the outer pan. Humidity: Your oven is a very dry environment, which creates a crust on the outside of whatever is being baked. This is normally a good thing, but with cheesecake, we want the top to stay soft — not to form a crust. The water bath adds moisture to the air, creating a humid environment and preventing the cake from drying out or forming cracks. Even, steady heat: To get that perfectly creamy, velvety cheesecake texture, we want to control the rate of cooking as much as possible. We don’t want the eggs and dairy to cook too fast or too slowly. Submerging the pan in a water bath helps us achieve that goal. Great Tip! Instead of wrapping your pan in layers of foil, which occasionally tear and cause leaks, try this tip from Simply Recipes reader Quantina: Buy a cheap disposable aluminum pan and mold that around your cheesecake instead. What if you don’t want to use a water bath? Sure, that’s fine! However, you risk more cracks in the top of your cheesecake and a somewhat drier texture. When finished baking, the outer ring of your cheesecake should look slightly puffed and set, but the inner circle should still jiggle just a little bit, like Jell-O after it has set. Underdone cheesecake: Continue baking if the outer ring is still jiggly or if the middle ring gives you more of a wobbly slosh (as if there’s still liquid beneath the surface) than a jiggle. Continue to bake and check the cheesecake every five minutes or so. Over-baked cheesecake: If the center starts to look puffed or if you start to notice cracks, then immediately move on to the next step of cooling the cheesecake. Some golden spots or small cracks won’t affect the flavor of your cheesecake. Cracks that show up as soon as the cheesecake is done cooking are a sign that your cheesecake is a bit over-baked or that you skipped the water bath. Cracks that show up after cooling are a sign that your cheesecake cooled a little too quickly. But cracks aren’t a sign of failure, nor do they mean that your cheesecake won’t taste good. They’re mostly cosmetic, and covering the surface of the cheesecake with sour cream or another topping will do a fine job of hiding them. Cheesecake is meant to be served chilled or room temperature, primarily because it’s only after chilling and fully setting that it gains its velvety, silky texture. If you cut into a cheesecake while it’s still warm from the oven, the texture will be very firm and somewhat custard-like, and you’ll despair that you’ve done something wrong. Really, it just needs time to chill! Serve your cheesecake straight from the fridge, or let it come up to room temperature before serving. If you prefer your cheesecake warm, then I suggest either serving it with a warm sauce or warming individual slices in the microwave. You can prepare the cheesecake up to three days before you plan to serve it. Keep it in the springform mold, covered, and refrigerated until you plan to serve. Wait to add the sour cream topping or any other toppings until serving. Leftovers will keep in the fridge for about five days. Ways to Top Your Cheesecake! Try a drizzle of warm caramel sauce or chocolate sauce over your slice of cheesecake! Or go fruity — cook down a few cups of frozen berries with a few tablespoons of sugar until it makes a jammy sauce. Updated December 4, 2018 : We spiffed up this post a little to make it sparkle! No changes to the recipe. Recipe adapted from Dorie Greenspan's Baking: From My Home to Yours. Published with permission from author. 1 Process graham crackers, mix with sugar, salt, butter: Pulse the graham crackers in a food processor or blender until finely ground. Put in a large bowl, and stir in the sugar and salt. Stir in the melted butter. 2 Press the graham cracker crumbs into the bottom of the springform pan: Gently press down on the crumbs using your fingers, until the crumbs are a nice even layer at the bottom of the pan, with maybe just a slight rise along the inside edges of the pan. 3 Bake the crust: Place the pan on a baking sheet and bake at 350°F (175°C) for 10 minutes. Remove from the oven and let cool. While the crust is cooling, you can skip ahead and start on the filling. Wait until the crust has cooled to wrap the pan in foil in the next step. 4 Triple wrap pan in heavy duty foil: Prepare the springform pan so that no water leaks into it while cooking. Place a large 18-inch by 18-inch square of heavy duty aluminum foil on a flat surface. 1 Beat cream cheese, then sugar: Cut the cream cheese into chunks and place in the bowl of an electric mixer, with the paddle attachment. Mix on medium speed for 4 minutes until smooth, soft and creamy. Add the sugar, beat for 4 minutes more. 2 Add salt, vanilla, then eggs, then sour cream: Add the salt and vanilla, beating after each addition. Add the eggs, one at a time, beating for one minute after each addition. Add the sour cream, beat until incorporated. 3 Add the heavy cream, beat until incorporated. Remember to scrape down the sides of the mixer bowl, and scrape up any thicker bits of cream cheese that have stuck to the bottom of the mixer that paddle attachment has failed to incorporate. 1 Prepare pan and boiling water: Place the foil-wrapped springform pan in a large, high-sided roasting pan. Prepare 2 quarts of boiling water. 2 Pour filling into pan: Pour the cream cheese filling into the springform pan, over the graham cracker bottom layer. Smooth the top with a rubber spatula. 3 Place in oven: Place the roasting pan with the springform pan in it, in the oven, on the lower rack. 5 Bake at 325°F (160°C) for 1 1/2 hours. 7 Chill 4 hours: Cover the top of the cheesecake with foil, so that it doesn't actually touch the cheesecake. Chill in the refrigerator for a minimum of 4 hours, or overnight. Place raspberries, sugar, and water in a small saucepan. Use a potato masher to mash the raspberries. Heat on medium, whisking, about 5 minutes, until the sauce begins to thicken. Remove from heat. Let cool. Remove the cake from the refrigerator. Remove the foil from the sides of the pan, and place the cake on your cake serving dish. 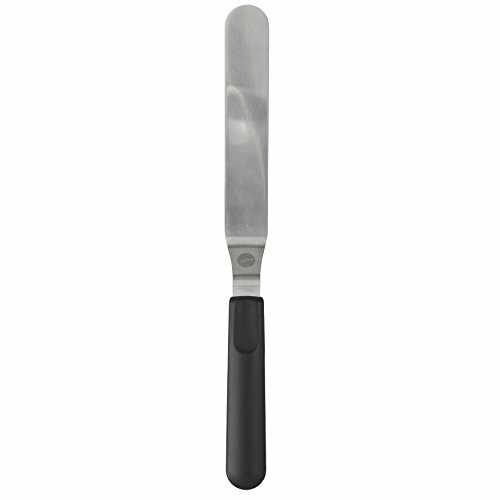 Run the side of a blunt knife between the edge of the cake and the pan. Dorie recommends, and we've done with success, that you use a hair dryer to heat the sides of the pan to make it easier to remove. Open the springform latch and gently open the pan and lift up the sides. Spread the top with the sour cream mixture. Serve plain or drizzle individual slices with raspberry sauce. Hello! All photos and content are copyright protected. Please do not use our photos without prior written permission. If you wish to republish this recipe, please rewrite the recipe in your own unique words and link back to Perfect Cheesecake on Simply Recipes. Thank you! Great I have made this cheesecake and it’s taste go good, whenever I make a cheesecake this recipe I use. End result.. This recipe tasted fantastic. I had a slight hump to overcome though. I had a small issue with the baking time of this recipe. I followed everything to a T (except I needed a little more butter in my crust to get it to the consistency to press down and “stick”. This is probably my own issue because I did a blend of honey graham crackers and Nilla wafer cookies. ) My oven was set to 325 (I have a brand new double wall oven, less than a year old) I baked for 1.5 hours and gave it a jiggle. It was still way too wobbly. So I left in for another 5 minutes intervals then giving it a slight wiggle. Overall I ended up leaving it in for another 20 minutes bake time. Then let it rest in the over for about an hour and 15 minutes. Then chilled overnight. In the end it was perfect consistency after chilling and tasted fantastic… i’m just not sure why my bake time was so off ?? These are the most perplexing questions, aren’t they, Stephanie? I have a new oven too, and I am so convinced it’s off that I bought a thermometer. Even “new” ovens can be improperly calibrated. If you notice this on other recipes where timing is really crucial, I’d get yourself a thermometer and check it. I’m glad you enjoyed it, though! It was perfect. I did use half and half instead of cream. That’s good news—thanks for letting us know the substitution worked, Carey! AMAZING!!! Best cheese cake recipe that I have ever made. The sour cream topping is just delish! I made it according to recipe and found that the cheesecake flavor seemed diluted. I’d skip the heavy cream in the batter next time. I made this three times! My husband requested it for his birthday. It’s the yummiest cheesecake I’ve ever eaten. The only thing I changed was that I added 70% of sugar. Lovely recipe! First – I used the Honey Maid Graham Crumbs by Christie and only added the butter (60g). I didn’t add the sugar and salt as the recipe directed because the box ingredients already included salt and sugar. The crust did not turn out very well, it cracked and came apart on every piece of cheesecake I sliced. (I tried using different knives as well). This was my mistake, I should have used the actual graham crackers as instructed in the recipe (? ), added the salt, sugar and butter as directed Hopefully this will make a difference the next time I try. The filling: I’m pretty sure (although challenging), I did measure out the filling ingredients accurately, and I used a 9-inch springform pan and when I poured the filling into the pan, the filling came all the way up to the top, rims of the pan – I didn’t think this would be a problem – but it was. The cake puffed up, over the edges, and was crusty and brown with allot of cracks. I had to trim off allot of the brown over hang, and cover with the topping to conceal the blemishes and cracks. After researching where I may have gone wrong, I believe I may have over mixed the batter. 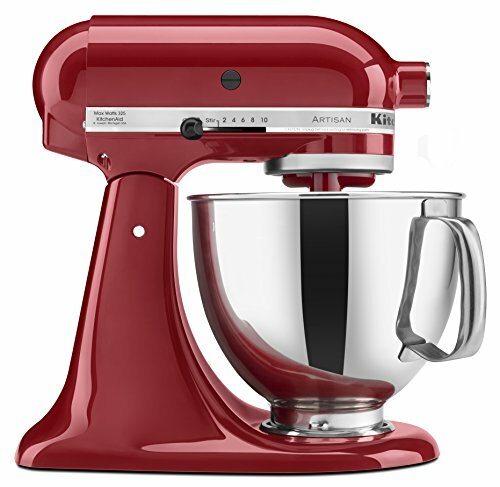 I didn’t have a paddle attachment so I just used the beaters on my hand mixer – followed the instructions closely, mixed on medium (with the beater attachments) for 4 minutes added the sugar, beat for another 4 minutes – added the rest of the ingredients as directed. Again, I think I over mixed the batter and there was too much air. The end result, the cake was not as firm as it should have been, even after chilling more than 24 hours. Along with the crust problems, it was not a pretty sight when it came to serving the cake – even though it tasted great, the presentation was not very appealing. So I guess, next time – I will use a paddle attachment – or blend only until lumps are gone and the batter is smooth? First, I used the 250 g packages of the Philadelphia Cream Cheese – so it was a challenge to measure out exactly 900 g. Next time I will use the (4x) 8oz blocks. I think your instincts are right and the alterations you made, Karen, significantly impacted the result. Skipping the sugar and salt and using something already crumbled affected the crust, and using the beaters absolutely would have added more air than a cheesecake can usually tolerate. I think the next time, if you use the paddle and use the graham crackers, you’ll have the presentation you want–along with the taste you enjoyed! Let us know how it goes! Any suggestions on how to make the sauce with blueberries? Just do a direct swap? That’s how I’d try it, Kathy. I’m sure it will be delicious! Let us know! Amazing. Every one loved it. I skipped the cream cheese topping and made Marion berry sauce for the top. Hi Amanda. My concern would be that it might not come together and set the way you want it to without the proper fat content, but you could try it. Please let us know! Just discovered my spring form pan is broken. Can I bake it in an oblong pan? Can low-fat cream cheese and low-fat sour cream be used in this recipe with equally good results? Hi Ali, thanks for your question. I’m not so sure you’d get the same results, but you could certainly try it and let us know how it goes. I did make the cake with both low-fat cream cheese and sour cream, and it worked out great. The cake took longer to cook than the directions, but the texture was perfect and the taste delicious! I will definitely use low-fat again next time I make it. That is good to know. Must have not been enough to make a big difference! Thanks for the report. 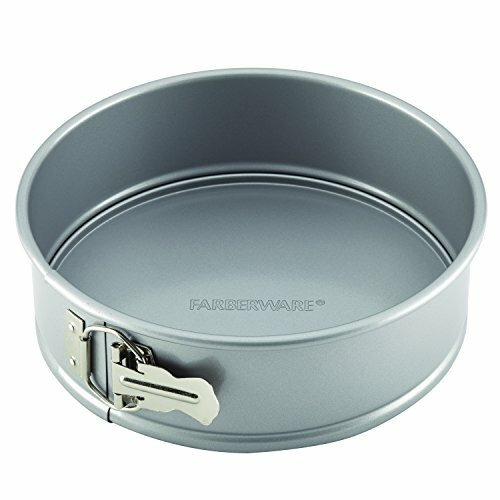 I am thinking to make this however I only have 5 in wide springfoam pan and I am wondering how to adjust the cooktime and temperature for a dark 5 in wide springfoam pan for this recipe? I will make it with 750 g of cream cheese. So please advise if half cup of creams each will suffice with 3 eggs? I haven’t tried that, Nemosa, but if I were in possession of a 5-inch springform pan, I would halve this recipe. It’s not an exact fit, but I’d rather have the cheesecake be a little shorter than too much for the pan, using the measurements you had suggested. Give it a shot and let us know how it turns out! It sounds like the perfect size for a cheesecake! Truly the best cheese cake I’ve ever had ! I didn’t make the topping we didn’t think it needed it but I’m sure it’s delicious too. Thanks so much for this recipe it’s perfection. The only one I’ll ever use. I’ve probably made five since I’ve found it. When ones gone I make another. lol I did make a peanut butter cup one with this recipe. I added a cup of peanut butter to the batter and did a layer of pb cups chopped in the middle. The topped with chocolate ganache. It was Devine but super rich. We prefer the plain as you can enjoy a bigger slice. Lol thanks so much. Hi Tiara, thanks for your question. I would start by adding 1/4 cup to maybe 1/2 cup of Bailey’s, keeping in mind that you might need to add an extra egg yolk to give the batter some volume, and extend the bake time by a couple minutes. This is where I would start. It doesn’t hurt to try! If you don’t feel like you want to take a risk, you can always top it with an Irish-cream spiked dollop of whipped cream, too! Amazing! The batter made more than my spring-form could hold, oh darn I’ll have to make a 6″ or cupcakes too. By far the best cheese cake ever! I made this for my hubby’s B-Day, baked cheese cake is his favorite. He can be hard to impress, but even he was Wow’d! Best Recipe. Perfect each time! I add so many different cake toppings! Loved this recipe!! I had miss read instead of 2lbs I used 2 8oz cream cheese but it was amazing!! Cooking it again and will remain cooking it! !